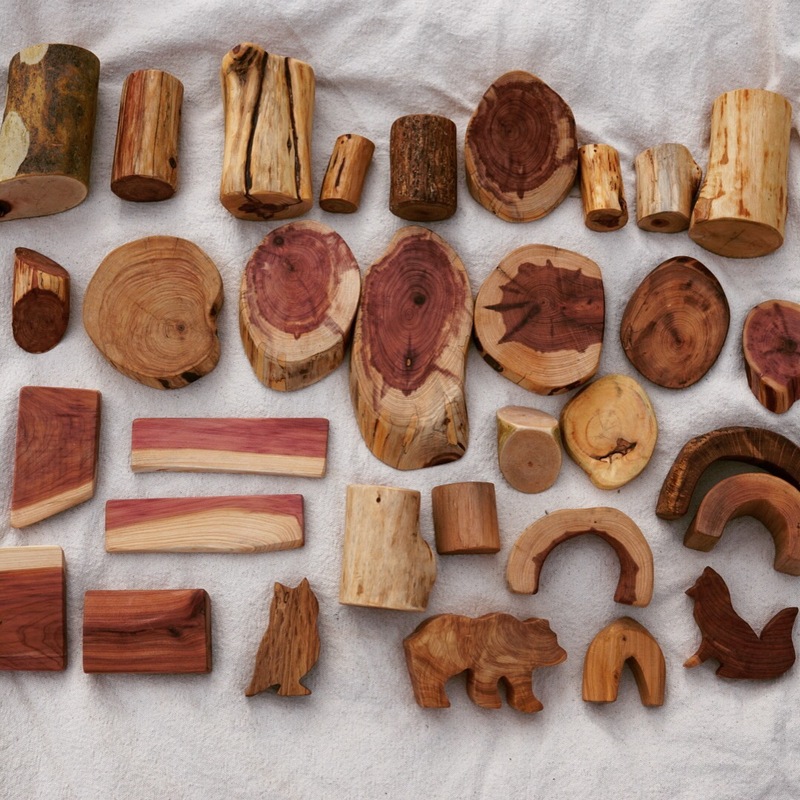 I’ve played with several different types of tree blocks, including some diy ones I made in my own backyard and blocks produced by other small companies and etsy sellers. Many of them are very nice, but None of them are as nice as TreeMagination’s tree blocks. These tree blocks are silky smooth. They feel so good you don’t want to put them down. They also smell amazing. Every so often I go over to the basket our blocks live in and inhale just to experience how good they smell again. They are also beautiful. 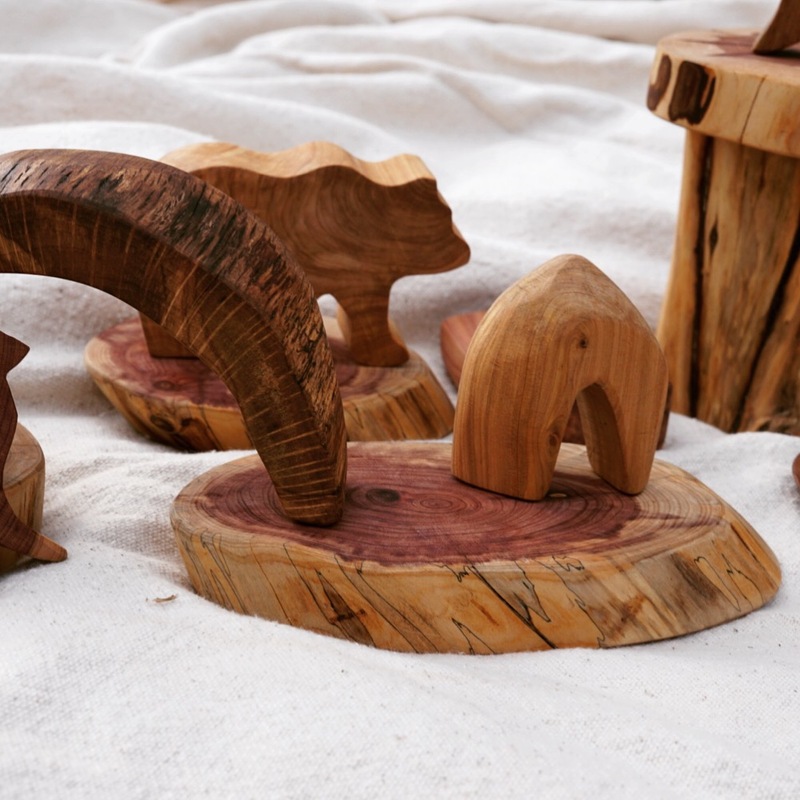 They are made from several different types of trees, with more interesting grain and coloration than your standard Birch. 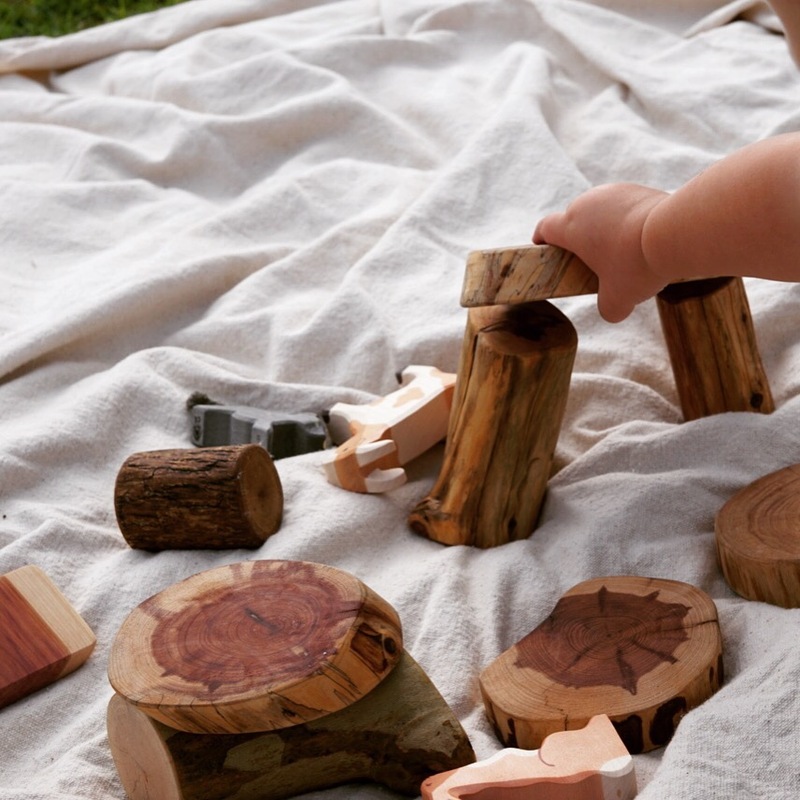 They also come in a range of sizes and shapes for varied play experience. 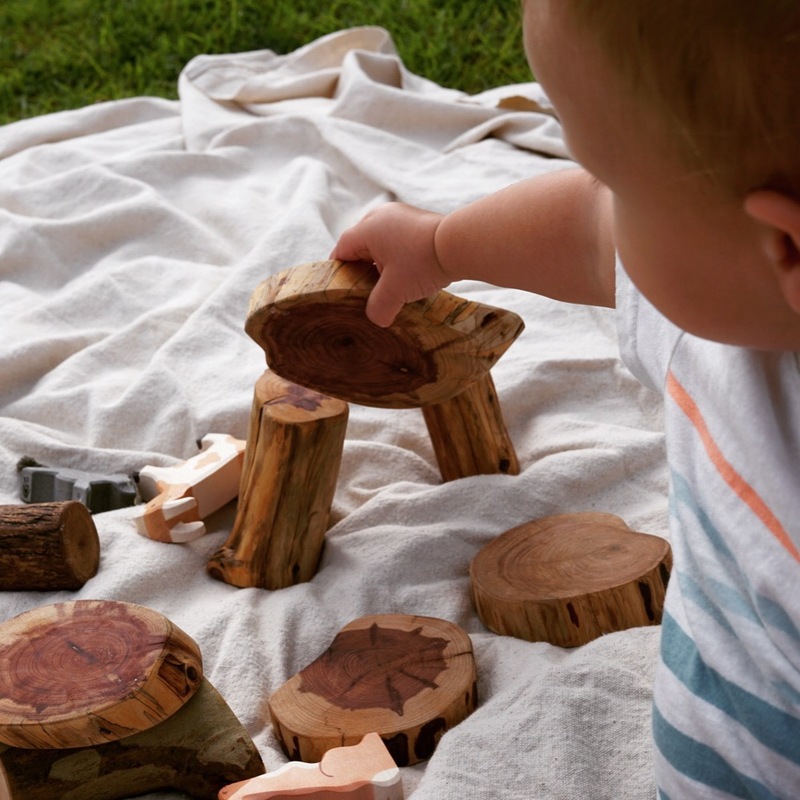 You can create the tiniest fairy door, or a huge bolderscape for bear to adventure over. You can make a cave or a treehouse or a house. I purchased the Forest Friends set, with a few custom pieces. The 45 pieces in this set are more than enough for some great play. I love them so much, I plan to purchase more. 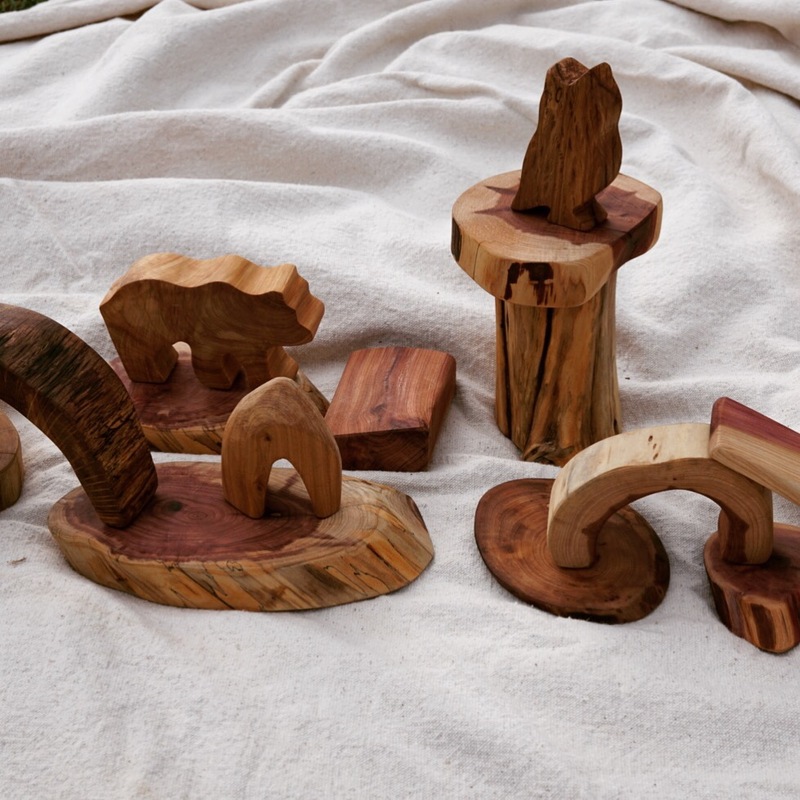 You can find TreeMagination’s tree blocks at their shop on Etsy.